This is a board game designed to conslidate understanding of 2 digit numbers - 10 more and 10 less. BIG ENOUGH FOR A SMALL GROUP TO SIT AROUND! 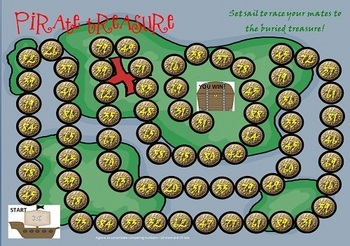 Rather than printing the game board in tabloid/A3 size, you could print it as 2 letter/A4 sized pages and attach them to a folder to make a file folder game. Print whichever is best for you. Of course, the game is best laminated for durability. 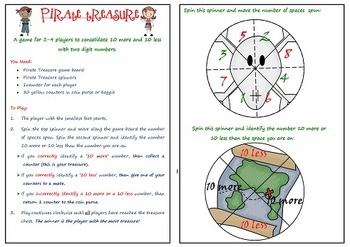 You'll need 2 plastic or metal spinners to attach to the spinner sheet for this game - or use a pencil and paperclip! Also, you'll need approximately 20-30 yellow counters (gold!). 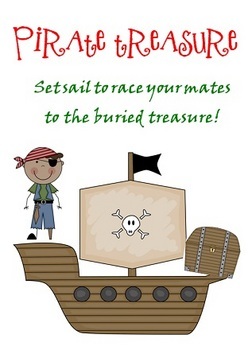 Visit me at my blog for ideas, activities and free printables as they become available Down Under Teacher.